Kendrick Lamar was nominated for seven awards at this year's Grammy Awards and somehow walked away with none. Yet the "good kid, m.A.A.d. city" rapper is taking the snub in stride - even though one of his peers, Macklemore, had a harder time doing so. Macklemore, along with his collaborator, Ryan Lewis, faced off against Lamar for the major rap awards and the best new artist honor. By the end of the ceremony, Macklemore had taken them all, including the best rap album title. That Grammy win in and of itself sparked a heated debate, with several - including Macklemore himself - saying Lamar had been robbed of a prize that was rightly his. But in Lamar's eyes, Macklemore deserved the award just as much. 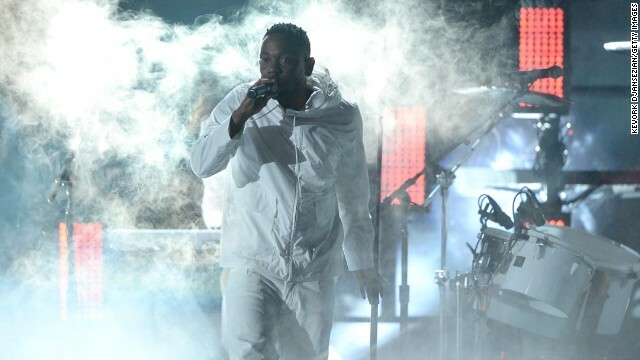 At least Lamar was a clear winner when it came to the performances at the Grammy Awards - his set with Imagine Dragons, a mashup of "Radioactive" and "m.A.A.d. City," is thought to be one of the best of the night.